Choice B: Wait for BIS or the community to get the information to you before releasing your code so that it is as realistic as possible. (please note that I have no ETA as this is all based on how fast BIS gets in touch with me, if they even respond at all). By the way bis, do you plan to give vests and helmets a reality check too? I'd say option A is the way to go. Nothing wrong with incremental improvements. @Kawa, I have not tried twitter or Skype, was not aware Skype was even an option with BIS developers, I have tried Steam Chat however, no luck there. Thanks for taking the time to answer! @Shadow_MSOG, Thanks for taking the time to answer, it really does help me get an feel for what the community wants to see. Ok so I might have something here, as a hold over, I am not sure how accurate these penetration values might be, they should be as an educated guess goes within a 30% margin of error for civilian and pistol rounds. most testing for FBI specs is 2 sheets of 20 gauge steel seperated by 3 inches and the bullet must penetrate no less than 12 inches of ballistics gel and no more (for JHP's) than 18 inches to pass FBI and IWBA specs. So because I do not have values to simulate ballistics gelatin I am substituting using 20 Gauge Steel -> RHA conversion which 1.3mm of 20 gauge mild steel sheet = 1mm of RHA sheet. By doing this I have a decent foundation as ArmA's RHA densities are known thanks to Bakerman and Olds for their work on the Real Armor Mod. RHA is properly simulated in the game according to what I have read so that is why I am using it as a base for RL ballistics. FBI spec show JHP's pen 2 sheets of this density with 3 inch separation to simulate an automotive door plus 17 inches there after into ballistics gelatin according to FBI spec testing. please remember that meat and bones and concrete may not be calculated to RL specs and there are different grades of concrete with different densities and compositions, knowing which type BIS used for their code is NOT known at the time of this posting. Any thoughts as to this, any corrections or adjustments, and please remember this is a formula I have come up with UNTIL I can get the info from BIS about their object densities and their calculations of such objects. I chose a multiplicative of 5 based on density values, if you take a metric ruler and measured out 4.76mm and pictured 20 gauge steel at that thickness and asked if a JHP bullet would penetrate that based on other ballistics tests and current known penetration values would it be plausible. I know this is not infallible in fact its purely an educated guess but at this time this is the best I can come up with. Just a few small corrections. The MK12 uses a 18" barrel. I'm guessing the MV isn't that much different in-game use (I don't have any 20" barrels to compare, just my MK12), but I think it's around 20-40 FPS. Also, the MK18 has a 10.3 inch barrel. Yeah, not worth your effort to find the differences between a 10.5 and a 10.3, but just putting it out there. I know the internet is rife with arguments about the "true" MK18 barrel length, but at the end of the day it's 10.3. Regardless, glad you're still working this. I may end up adding an 18 inch barrel simply because of the M249 SAW and other DMR's that are 18 inches, for now the 20 inch barrel should suffice, there is only a 60-80 fps difference but I want the most popular lengths to be correct. As for the 10.3 to 10.5 yeah less than a 2% margin there, not going that detailed, for just 1 barrel length it takes me about 6-8 hours of work and tweaking plus in game battle testing. That all makes sense. I figured I'd offer it as a data point, but sounds like you're on it. At the end of the day, it's still more accurate than vanilla. Looking forward to it. They're both 1 in 7" barrels. The LMT barrel is 10.5 and the Colt CQBR is 10.3, but they both follow the M4 government profile with a 1:7 twist, so it's close enough for government work. They are made by 2 different companies that are competing for Mil contracts for the next CQB weapon, the 1:7 twist is standardized as the MK318 Mod 0 SOST is specifically designed for a 1:7 twist giving it a gyroscopic stability of 2.2 (this makes the round very accurate even when crossing into the subsonic speeds). There is about a 14-16% velocity difference between a 14.5 and a 16 in Mil-Spec barrel (SAAMI competition and Bull Precision barrels have higher ratings). I have spent some time getting .338 and 7.62x51mm NATO going, .338 was extremly easy as it is such a well documented round which I found surprising and comforting. However the M993 Armor Piercing round in 7.62x51mm NATO is very very hard to come across for numbers. I came up with the BC after looking at many other ballistics coefficients of bullets at close weight and design and calculated the rest. All of my ballistics codes are for the community to use at their discretion, all I ask is that I get credit where it is due. please note these are for the LW system and are NOT used by the A-10's GAU/8 Avenger system, they are used by the AH-64, MH-60L DAP, and LW equipped land based vehicles as well as DEFA/ADEN equipped aircraft ONLY! I would personally like to thank ATK (Alliant Tech Systems) for their help with these munitions in achieveing a 5% margin of error and this includes RHA penetration values as well. If it covers 7.62x54R, and 7.62x39mm with some of the modern rounds, it could be helpful, I have 5.45x39mm already in testing thanks to some US Military Aberdeen manuals. At 660m, it goes through a 6 mm St.3 steel plate. Up to 800m, it goes through a 6-Zh-85T (not so) bullet proof vest. At 100m, it goes through a 5 mm 2P steel plate. At 100m, it goes through a 16 mm St.3 steel plate. At 400m, it goes through a 5 mm 2P steel plate. At 250m, it goes through a 6BZTM bullet proof vest (6 mm titanium + 15 kevlar layers). 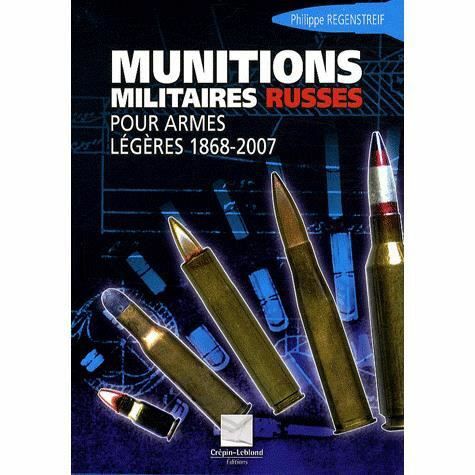 * Source: "Munitions militaires russes pour armes lÃ©gÃ¨res, 1868-2004" by Philippe Regenstreif, ISBN-10: 2703003137. Thanks, this will help with validity on some of my incoming rounds! I will not post the hit and caliber values becouse I'm not convinced I got them very accurate. These are just some of the projectiles I have modeled so far. I have a few more, including anti tank weapons like the Carl Gustaf, RPG7 and several more. edited RHA penetration after calculating RHA material density. I found my data on some random russian website though. Yours could be more reliable. I am discontinuing the M799 HEI round as no US weapons system fires these rounds, only the ADEN/DEFA systems fire these as the US has had issues with rounds "cooking off" in the barrels when under continued fire. Code to follow soon for use in 30x113mm systems that includes the AH-64A, AH-64D, MH-60L DAP, ADEN/DEFA, and LW based 30x113mm systems developed by General Dynamics and ATK. You ain't talking about that reference, right? Yes, except my reference came from the Army Knowledge Online website which only active US Military personnel have access to; also the version I am using is dated for 2013. Got it, thank you Spartan. Hey Spartan, are you sharing your ballistics info with the RHS Russian Armed Forces and US Armed Forces mod teams?